Berwin Leighton Paisner (BLP) and Nabarro acted opposite Eversheds and Mayer Brown on CBRE Global Investors’ merger of its UK Property Fund with the Electricity Supply Pension Scheme (ESPS), creating a £1.4bn property fund called the CBRE UK Property PAIF. 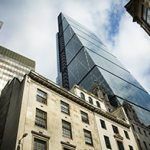 CBRE has been the investment manager of ESPS’s UK property portfolio since 2006, and said the merger was part of the increasing trend of investors looking for ‘scale and simplicity’. BLP and Nabarro advised CBRE, while Eversheds and Mayer Brown acted for ESPS. 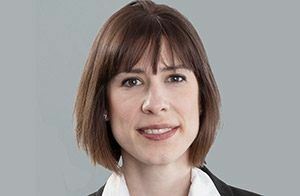 BLP’s team was led by investment management partner Kate Binedell, alongside corporate tax partner Paul Shaw and investment management partner Matthew Baker advising on financial services regulation. Nabarro’s team was led by real estate partners James Madden and Chris Chambers. On the ESPS side, Mayer Brown’s team was led by head of London pensions practice Philippa James and corporate & securities partner Tim Nosworthy, while Eversheds’ side was led by head of London real estate Bruce Dear and real estate partner Clare Whitaker. Recent deals BLP has acted on for CBRE include its acquisition of the Glacis-Galerie shopping centre in Neu-Ulm, Germany, in October 2015 and its purchase of Rahlstedt Center in Hamburg, Germany earlier this year. Nabarro has also advised CBRE in the past, acting as it signed a 15-year lease, when the property company moved to the West End in 2011.